I read this article and found it very interesting, thought it might be something for you. The article is called Upon Further Reflection: Offset 2018 and is located at https://www.totallydublin.ie/more/design-section/upon-reflection-offset-2018/. Another Offset comes and goes. 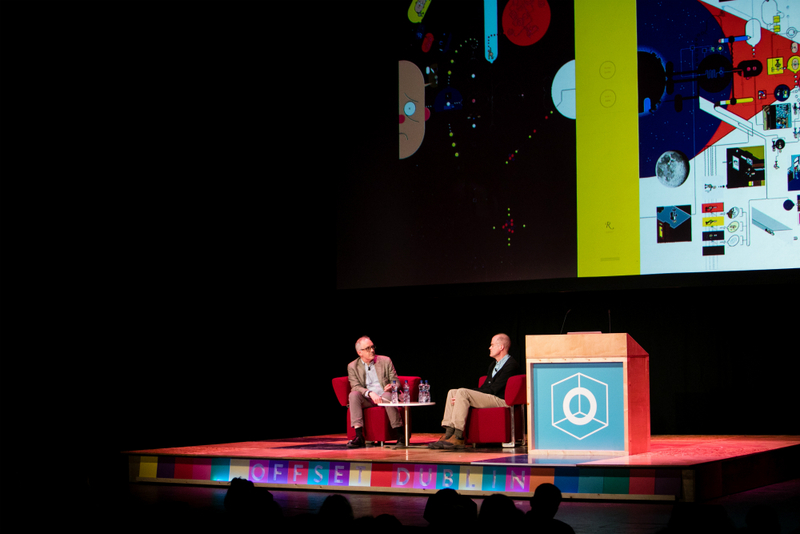 Here are some thoughts and reflections from the creative festival held last month. Besides missing the very first Offset in 2009, I’ve been to every Offset since then. I’ve caught countless inspiring talks, discussions, presentations. I recollect sitting in the Ferryman one Sunday evening, buzzed off the back of the weekend, with a group of friends discussing composing a letter to the Irish Times in praise of the achievements of the organisers. We never wrote that letter. I’ve since come to appreciate creativity is usually more a filtration of experiences over time rather than some immediate reaction. That’s my excuse, at least. I’ve curated a room under Le Cool and hosted panels as well as Panicdotes where we invited speakers and the public to briefly share a moment of sheer terror in their careers (or personal lives). Emily Oberman from Pentagram, who I did not recognise, stepped up to talk about unwittingly doing design work for a legal firm who were representing a Columbian drug cartel and reading about it on the front of the New York Times. The story was told with a sizzle. I’ve also coaxed the fact that a friend of mine can’t tie their shoelaces into public. I’ve scribbled names, websites and notions on pages. As the years go by, like most people, I become somewhat harder to impress at times. Where once, I would have furiously scribbled rules such as: ‘take risks’, ‘be brave’, ‘start something’; I feel this is perhaps more for the first timers with the thrill of it all ahead of them. Anyways, here’s a few personal insights from those I managed to capture. Affable though he may be, it probably isn’t the best time in the world to be gloating about working for Facebook. At least, Drew Bennett had the smarts to acknowledge that at the outset. However, rattling off a list of artists who’ve worked with the organisation’s art initiatives ,which simply seem to be an opportunity to make their offices in Menlo Park or around the world cool for their employees, was frankly a bore. It is also is indicative of how Facebook, and the other tech giants down in their Grand Canal compounds, have minimal desire to interact with the city and communities beyond their security checks. There’s always one and this year the screens that gave you your 15/10/5 minute warning appeared to be broken. Nora Twomey’s seemed oblivious to time in her telling of the story of directing the Oscar-nominated animation feature The Breadwinner. If it wasn’t for her sincerity and the subject matter in question, we’d have all turned Joshua Davis and started slugging Red Bulls. Considering how to present an extensive body of work can be quite intimidating. And when it’s an Irish agency, it almost seems like a lifetime achievement award moment. Wrapping their 25 years of existence around the seemingly unwavering loyalty of their staff turned Red Dog’s presentation into a charming and all-encompassing one. Their work sung but was elevated by reference to the people who helped make it. Comprising of 14 women and four men, the average tenure is 12 years with their designer Kim Robinson there for 22. Take a bow for the Blackpitts. Out of body experiences were courtesy of Joshua Davis’s cascade of visual crazy. He spoke of coding, pathfinding and memory. He uses programmes to generate art off algorithms. I had no notion what he was on about but damn the end result was good. I could spend my summer in that club entranced. Frith Kerr stuck to the script with icy intent in her presentation on behalf of Studio Kerr. And it worked. Mostly because the work is so good (Alexa Chung, Hotel Il Pellicano, Frieze Art Fair). A reserved, emotionally unwavering, pitch can be fashionably cool too. But usually only if your work mirrors it. I didn’t but a selection of friends referenced awe and admiration about the work of Aoife Dooley at Offshoots, Beatrice Alemagna, Peter Donnelly and Stephen Doyle. Subset’s decision to present a grey screen was considered predictable backseat antics on the ‘too cool for school’ bus. A gene project with a DNA test kit to find out if you’re a lover or hater of Marmite, turning Skittles white for Pride Weekend, turning shop stealers into ambassadors for Harvey Nichols #lovefreebies campaign; Goddamit, so so good and so so simple. All of these were thanks to Richard Brim from Adam & Eve/DDB. 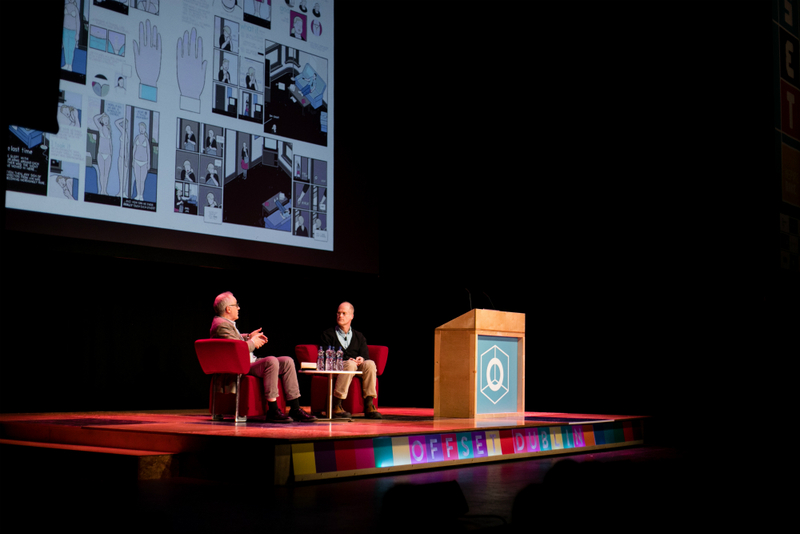 Chris Ware likening reading e-books to someone “breathing in your mouth”. 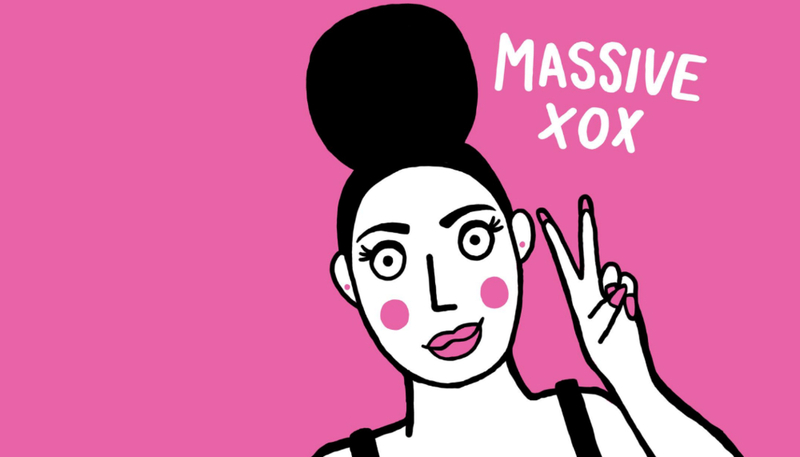 Highly distasteful.